Sitting Bull, the great defender of the Sioux Nation, showed his bravery and determination at a very young age. When he was ten years old, he killed his first buffalo. At fourteen, he proved himself a fearless warrior during a raid on a Crow tribe. Born in 1830 in the part of the United States now known as South Dakota, Sitting Bull was chosen to lead his people against the U.S. Government troops. He felt strongly that the Great Plains was the Indians' rightful home. 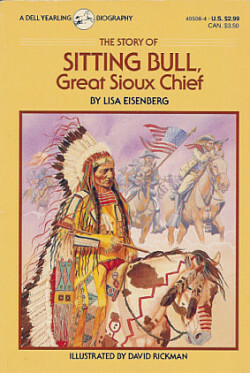 The Sioux were proud of their independent way of life, following the buffalo herds. Sitting Bull wanted to keep his people off reservations set aside for them by the government. He fought long and hard to protect the Indians' cherished way of life.